Lille, a city also known as Rijsel, in Northern France, by the Belgian border. 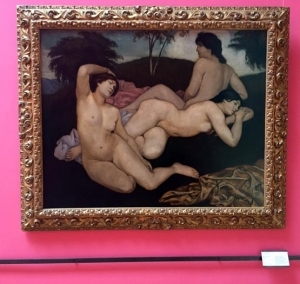 Beaux-Arts, Museum of Fine Arts, itself boasting to be the number 2 museum of Fine Arts in France. 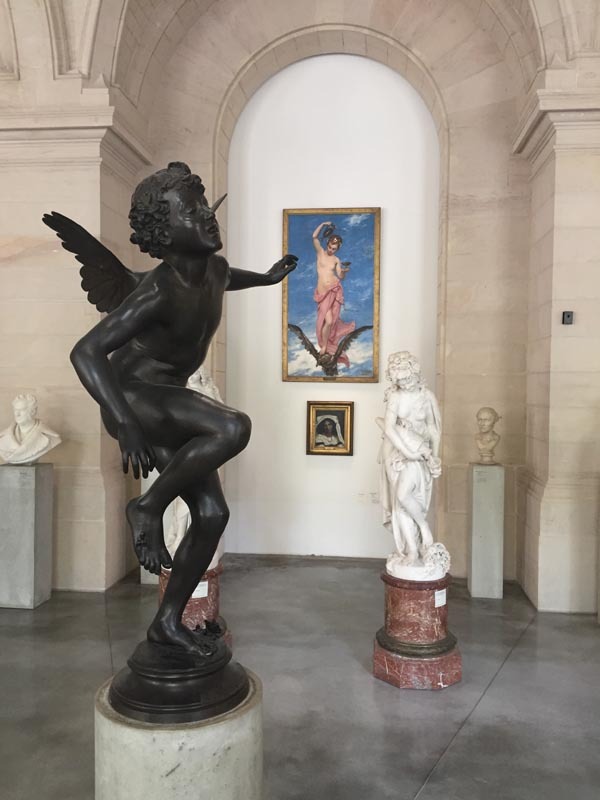 Join me for a visit to the outstanding Beaux Art museum, Lille, France. I will be your private professor, travelling in from Amsterdam, Holland specially for you. 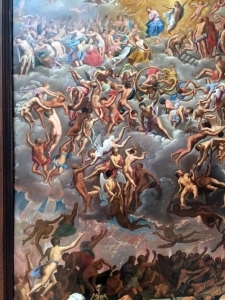 Tour by Drs Kees Kaldenbach, a professional Art History scholar with excellent teaching skills. Specialist in Fine art and Design, Architecture and History. VIP entry. Option 1: I can arrive by bullet train at around 2 PM. Option 2 I can arrive the day before, then Entry best at 10AM. Goya, a painting of his late dark period. See text. Please note, this is a high level offer. Practicalities: I live in Amsterdam, Holland and do NOT run a travel agency. 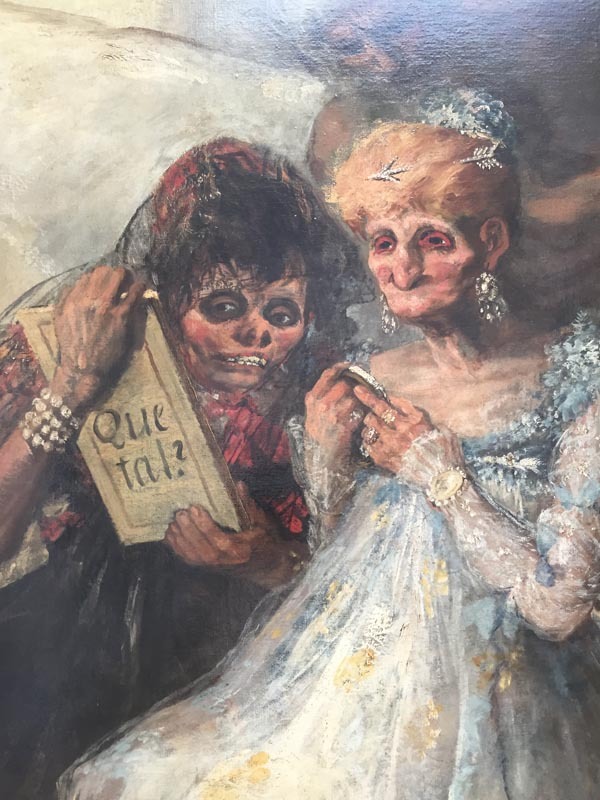 I do however provide Fabulous international museum tours. The plan is that you contract me for one or more days as your private ‘Professor’ and offer full transport to that city, plus (if needed) hotel accommodation in the same place you will stay. We will spend quality time together in mornings and early afternoons. 1. Expensive option: You can hire me and I will fly in to be your own outstanding private “Professore”. At your cost, I will fly in especially for you (or take the high speed train) and I will guide you after spending a hotel night. And then a very memorable museum visit or two. Lille or Rijsel? The Netherlandish peoples are still slightly piqued that the city of Rijsel was occupied by the troops of French king Louis XIV, stolen and then renamed Lille. Presently Lille is a former industrial city that has lost most of its industry, looking a bit run down at the seams. 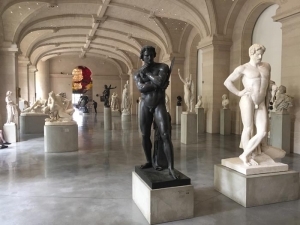 The number two museum in France? Really? 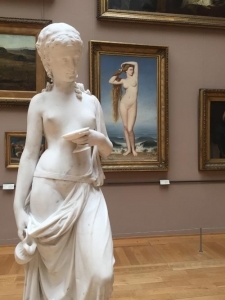 One may agree or disagree with the label as the number 2 museum of Fine Arts in France, but in all cases it has some extremely interesting works of fine painting, a good mediaeval section in the basement and a more than weird and wonderful selection of life-size sculpture. Angel or Eros, and in background a painting by Hebee. Lille Museum. Nineteenth century life-size sculpture hall, Lille. 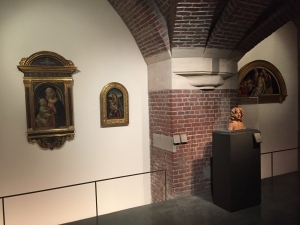 Basement level with Mediaeval art, Lille. Emile Bernard, mate of Van Gogh, returning here to the language of classical painting, 1908, Lille museum. 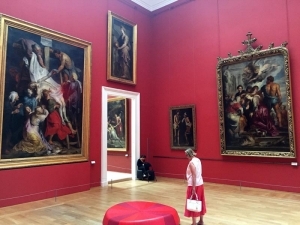 Huge paintings from the Antwerp school, Lille. Probably stolen by French troops in the days of Napoleon. 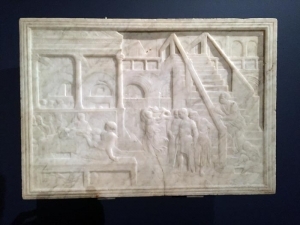 An amazing Donatello sculpture with 3D effects in a shallow space. 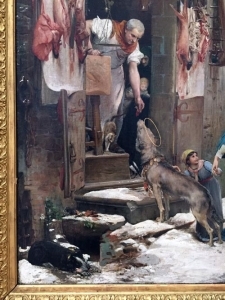 Lille Museum. 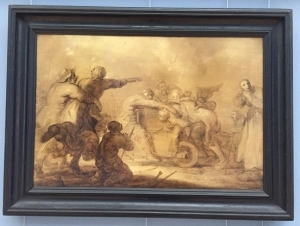 Van der Venne, one of a pair of paintings, very sketchy in character, in the collection. Lille Museum. 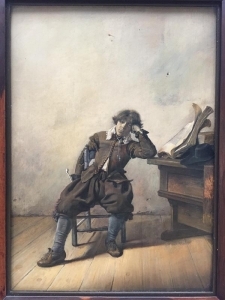 Codde, Man at rest, an outstanding painting in the Dutch Department of Lille Museum. 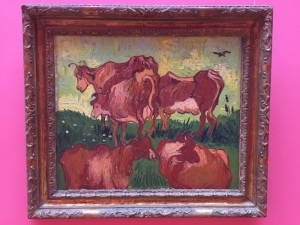 Van Gogh, five cows. Auvers period. The domesticated Wolf of Gubbio, being fed morsels of meat. Note the halo on his head.